Capturing minutes of the meeting is one of the least desirable and tedious tasks. However, someone needs to pick up the slack since decisions made in these meetings are important as they can involve a lot of time and money. How many times have you been in meetings that yielded nothing? To avoid this, you need to assign someone to take notes during the meeting that can serve as a record of what transpired. This will usually contain the major issues brought up during the meeting and the Action Items. Have you ever felt that the same issues are brought up at every meeting? This usually happens either because people had not attended the previous meeting or no action was taken to address the issue. 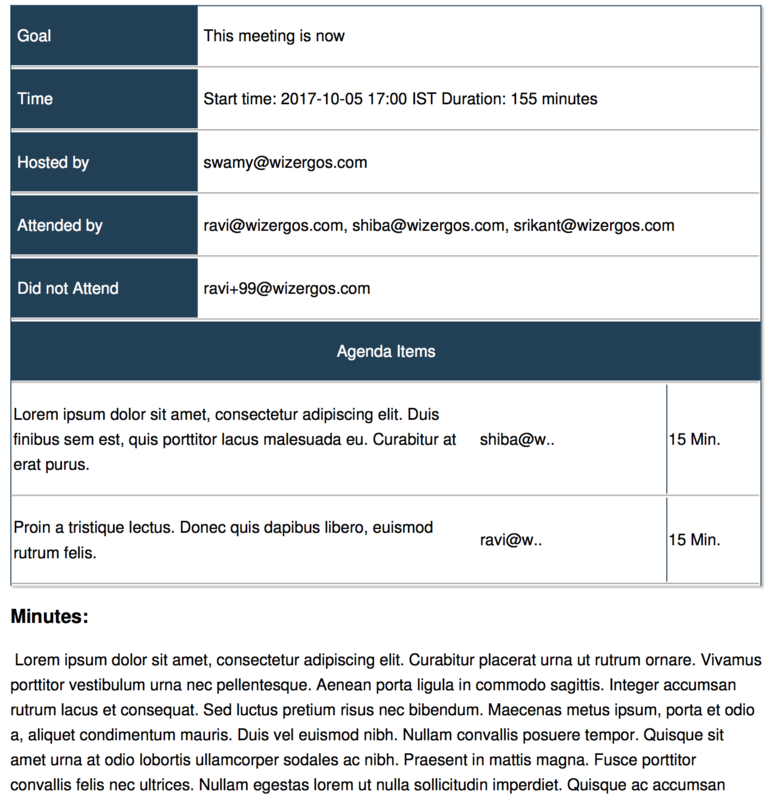 By ensuring that you record what happened during the meeting you keep the people who missed the meeting updated on what was discussed and also push the ones that did attend the meeting to complete the tasks assigned to them. Did you know that running an efficient meeting can be a double-edged sword? Though your intention is to stay focused on the agenda of the meeting and address all the concerns raised, there could also be an extremely fruitful idea that was given by an attendee. There is a chance that this idea might not be addressed at that meeting due to time constraint. Having a record of this idea will ensure that nobody forgets what it was and allows you to take it up in the next meeting. Once, you have the required format, you need to find a person who is accurate, self-confident and organized with the skill to recognize the essential topics covered in the meeting along with the ability to be neutral while making notes of what transpired in the meeting. Though, this sounds like an achievable task, I am sure we all agree that we have been in situations where we are continuously scribbling what we thought was important only to realize that we missed important information. This is where a simple tool like Wizergos comes into the picture with its speech recognition that can be used to transcribe the entire meeting without missing a piece of information.